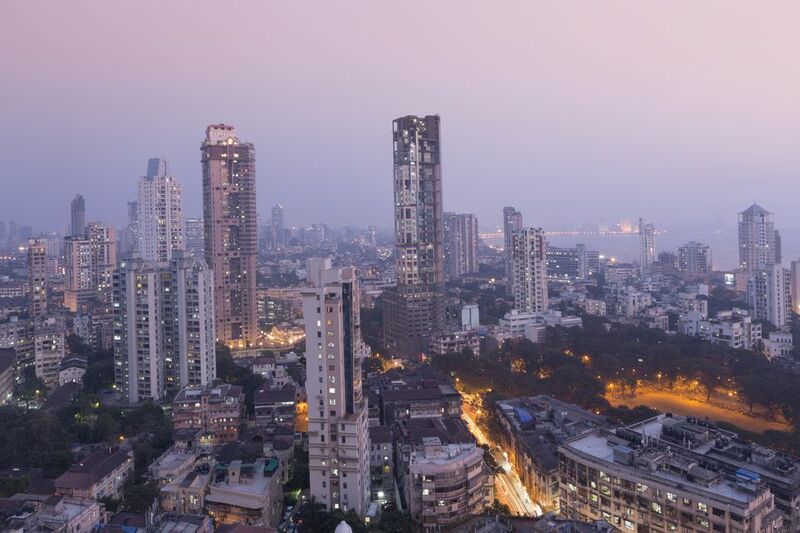 Unfortunately, Mumbai isn't a city that's known for its cheap hotels, and there's limited choice for those on a tight budget. However, if you're willing to sacrifice a few comforts there are some clean but basic accommodations available. Rates rise every year though. And, something to keep in mind is the locality of the accommodations. While there are relatively low cost accommodations in some of Mumbai's suburbs, the reality is that you'll be isolated and spend hours traveling to see the city's tourist attractions. Here are eight decent guest houses and cheap hotels in Mumbai, which are well situated in south Mumbai and will help you stretch your money further. Hotel Traveller's Inn is a small and clean cheapie that's great value for money and a favorite with travelers. It's located down a side street in the Fort district, close to Colaba Causeway. The staff is friendly and aim to please. There's a mixed dorm, as well as private rooms. Features: TV with satellite channels, instant hot water. There's free WIFI in the lobby. Address: 26, ADI Marzban Path, Behind Cafe Universal, Ballard Estate, Fort. Ph: (91-22) 2264-4685. Price: Expect to pay 1,800 rupees for a non air-conditioned double room, and 2,600 rupees for a double with air-conditioning. All rooms have attached bathrooms. Tax is additional. A bed in a mixed dorm is 535 rupees per night. Never mind the ramshackle exterior, travelers rave about the well designed, newly renovated rooms at the Sea Shore Hotel. It's got a fabulous location on the waterfront in Colaba near the Gateway of India, in a building occupied by a other budget guest houses. There are six rooms to choose from and the pricier ones have harbor views! The only drawback is that bathrooms are communal. However, they're cleaned numerous times a day. The hotel also doesn't have an elevator, so you'll need to walk up four flights of stairs. Features: Shared bathrooms, TVs with English channels in rooms. Address: Kamal Mansion, Arthur Bunder Road, Colaba. Ph: (91-22) 2287-4237. Price: Rates start from 1,100 rupees per night for a double. Note that the cheapest rooms don't have windows and many guests recommend avoiding them. The rooms may be small and the exterior unappealing. However, the Hotel Elphinstone is a pleasant surprise as far as cheap accommodations in Mumbai go. It's modern, clean, and comfortable -- and with excellent service. The hotel is located close to CST railway station and Crawford Market, around 10 minutes from Colaba Causeway. There are 20 rooms. Features: Air-conditioning, cable TV, minibar and electric kettle. Address: 149, 1st Floor, Sai Niwas, P D'Mello Road, Carnac Bunder, Fort, Mumbai. Ph: (91-22) 2261-6945. Price: From 2,500 rupees per night, plus tax. This tiny hotel only has a handful of rooms but it's well run and very popular. The hotel is one of Mumbai's best kept secrets as it's hidden away on the third floor of a nondescript office building. Don't give up trying to find it or be put off by the decrepit exterior and long climb of stairs. It's cheery inside, centrally located, and with a street full of delicious restaurants to choose from just around the corner. Features: Fans, limited hot water, 3 shared bathrooms cleaned daily, lots of books to read. Address: Third floor, ITTS House, 33 Sai Baba Marg (down a side road behind the Prince of Wales Museum, off K Dubash Marg), Fort. Ph: (91-22) 2284-3618. Price: 1,000 rupees for a double room, breakfast included. Not to be confused with Bentley's Hotel in Colaba (see below), this hotel has a prime location on famous Marine Drive. It has 20 guest rooms in an old apartment building. Feedback has improved since the rooms were renovated in 2012 and attached bathrooms were added. Do be aware that some of the rooms are quite small though! The area is peaceful, unless there's a cricket game on in nearby Wankhede Stadium. The hotel is close to gorgeous rooftop Dome bar at the InterContinental hotel, if you want to splurge on a memorable sunset drink. Churchgate railway station is also nearby. Features: Satellite TVs, complimentary newspapers, safes in rooms, laundry service. Address: Krishna Mahal, Marine Drive, Churchgate. Ph: (91-22) 2281-5244. Price: Expect to pay around 3,000 rupees upwards per night for a double, plus tax. This renowned budget hotel has 37 rooms spread over a couple of buildings, with an unbeatable location near Colaba Causeway. Most rooms are breezy, spacious, and have an old Victorian ambiance. The rooms do vary greatly in size, from rooms with balconies to rooms with communal bathrooms. Features: TVs in rooms with local channels, hot water, laundry service. Address: 17 Oliver Road, Colaba. Ph: (91-22) 2284-1474. Price: Rather dingy small rooms start from 1,900 rupees per night. Better, larger non air-conditioned rooms start from 2,450 rupees per night. Basic breakfast and tax included. If you don't mind staying a bit away from Colaba (around 15 minutes drive) near Mumbai Central railway station, Hotel KumKum is an excellent choice. The hotel has a large terrace and rooftop restaurant that serves tasty food prepared with fresh ingredients. You can even see it being prepared in front of you. Rooms are simple but tastefully decorated and clean. The staff and owner aim to please. Features: Air conditioning, TV, attached bathrooms with hot and cold water, travel services, room service, free wireless Internet. Address: 165 Lamington Road, Mumbai. Ph: (91-22) 2307 2010. Price: Expect to pay 2,000 rupees per night, plus tax. The rooms at the YWCA guesthouse have recently received a makeover, and are clean and simply furnished. All rates include buffet breakfast and dinner. Although this guest house is run by a Christian women's organization, men are also welcome. It's a safe no frills place to stay, with smiling and helpful staff. You'll need to book at least a month or two in advance. Read reviews on Tripadvisor. Features: Hot water, cable TV, complementary morning tea/coffee and newspapers, wireless Internet, travel services. Address: 18 Madame Cama Road, Fort. Ph: (91-22) 2282-6814. Price: Rates start from 2,500 rupees for a single and 3,850 rupees for a double room with attached bathroom and air-conditioning. Family and dormitory rooms are available. Rates include tax, buffet breakfast and dinner.